Many diaper bags are available, but how do you know which ones are best suited for twins? What should you be looking at when shopping for a larger diaper bag? Having a baby requires a certain level of planning, but having twins means some next level organization since you’ll be carrying twice as much. Keeping your diaper bag in order could mean less time spent hunting for things and more time with your babies. With twice as much to pack in, let’s take a closer look at the different features you should consider while shopping for the best diaper bag for twins. Use the links above to check the latest prices or read our in-depth diaper bag for twins reviews below. Although they’re called “diaper bags” these bags almost always much more than just diapers. Everything you may need for your baby will be packed inside, which, if you have twins, means even more deliberation over your purchase than normal. Space: While you might not need two of every item, having twins means more stuff to carry. The bag should have a capacity large enough to hold everything you need for you, and your babies. Quality and durability: Consider the extra load you’ll be carrying. The weight of diapers, clothes, and changing items can soon add up. With this in mind, the bag should be sturdy enough. Check handles, zippers, and materials, to make sure they won’t fail on you. Lightweight: Diaper bags made of heavy material can be a significant weight even when empty, which might not be practical when carrying equipment for two. Pockets: If you want to keep everything in order, pockets are a great way to do it. They should save you time from rummaging around, trying to find things — providing you remember where you put everything, that is! Wet pouch: Babies often end up with wet clothes — leaky diapers, vomit or dribble. If this happens, you might be grateful to have a separate area to pop soiled clothes in — leaving the rest of bag clean and dry. Stroller attachment: This feature allows the diaper bag to be carried by the stroller, which frees up your hands and saves you carrying the load. 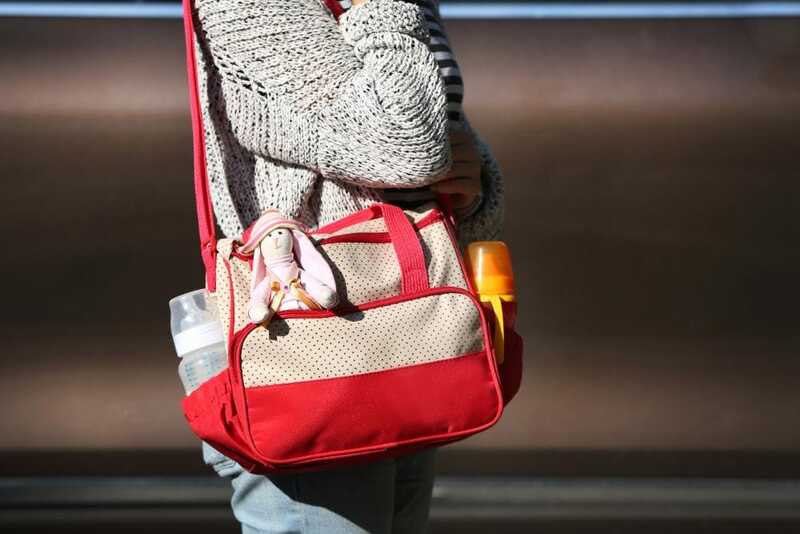 Easy to Maintain: Spills, spit-up, wet clothes, and more — your diaper bag material should be washable and easy to clean, on the inside as well as outside. Color and design: While you want your diaper bag to be practical, there’s nothing to say it can’t be aesthetically pleasing too. Also, if your partner is planning to use the same bag, it’s a good idea to opt for a color scheme that caters for both of you. 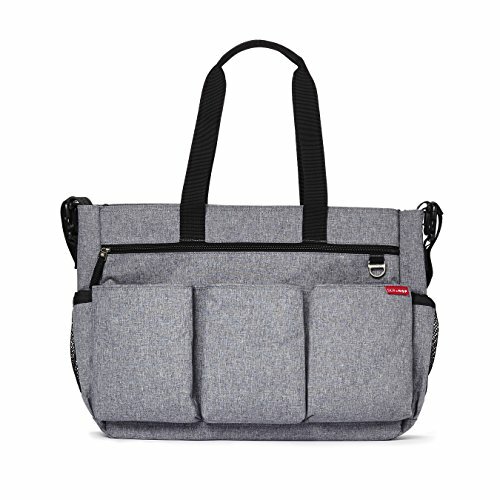 Now that we’ve discussed what features to look for, I’d like to share my top diaper bag choices for twins. Having twins means the costs could mount up very quickly, so you’ll be grateful for any savings that can be made. 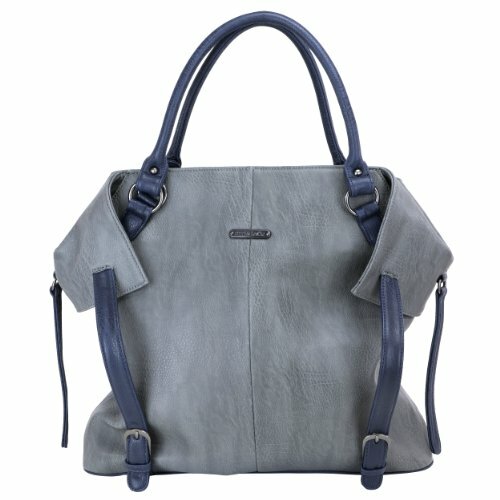 Moms looking for a diaper bag which doesn’t cost the earth could find this one from Lifecolor appealing. Despite the lower price point, the bag comes with many handy features. A waterproof inner bag is great for storing wet clothes or dirty diapers away from other items. It also has an insulated front pocket for bottles, which makes grabbing one in a hurry simple. This bag feels like it could withstand day-to-day use with the extra weight. The top zipper is strengthened to ensure the opening holds its shape. It’s also made from durable material, with reinforced straps for extra support. You can carry this in three different ways, and the backpack option could be ideal for keeping your hands free when you don’t have the stroller with you. It also has a generous capacity which should hold all your essentials for two, and maybe even room for mom’s stuff too. Wide opening — makes it easy to locate what you need. Baby bottle pocket keeps bottles warm for up to four hours. 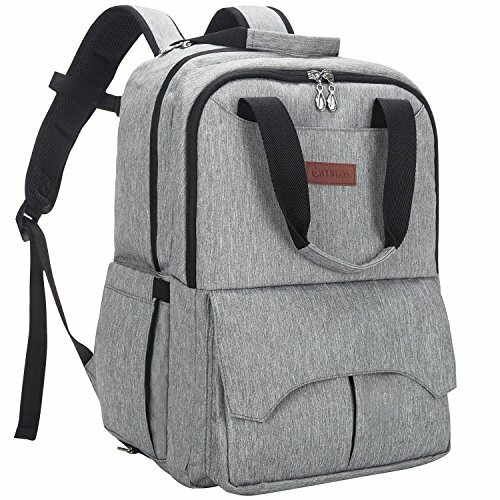 Doesn’t contain as many pockets as other diaper bags. The insulated pockets can’t fit eight-ounce baby bottles. Its contemporary design might make the Lekebaby look more like a weekend bag than a diaper bag. With multiple straps, it can be carried on your shoulder, messenger-style, or can even be clipped to the stroller. It has a total of 17 compartments, nine of which are on the outside. These open pockets might be useful for keeping items you use most often. Another pocket doubles as a baby wipe holder — neat for getting out of messy situations quickly. On the inside, a roomy middle compartment allows easier access to all your packed items. It also has many other internal pouches which should give you tons of options to keep everything organized. The included travel-sized changing mat is a nice touch, making things easier when it comes to diaper changing on the go. Soft bag frame which might not stand up unless the bag is full. Exterior open pockets — items could get wet when it rains. If you’re a fan of the backpack-style diaper bags, the Hyblom is a functional option which might suit you. The backstraps are easily adjustable to ensure a correct fit, and they’re padded for extra comfort — carrying it around is easy. You can also let the stroller take the load, with the built-in stroller straps. As far as durability goes, it has high-quality zippers and strong stitching which should keep up with the daily demands of your darling duo. This diaper bag is generous on space, with plenty of room for the essentials. With 15 pockets, including a “wet things” compartment and an insulated area for bottles, this bag might just keep your organization skills — and sanity — in check. Style and design suits both moms and dads. Pockets for cell phone and laptop. Could be too big for petite moms to carry. When using diaper bags on a daily basis, dirt can build up quickly. Our little ones are vulnerable to illness, and as a mom, your instinct is to keep them away from unnecessary germs. If you’re looking for a diaper bag to keep bacteria away from your little ones, this might be a good one to consider. This bag is machine washable, which should take the hassle out of keeping it clean. The outer fabric is also Teflon-treated and completely waterproof, so taking care of spills should be a breeze, too. When it comes to the inner fabric, it’s treated using Agion, which acts as an antimicrobial agent. This inhibits the growth of bacteria, which can be the source of mold and unpleasant smells. 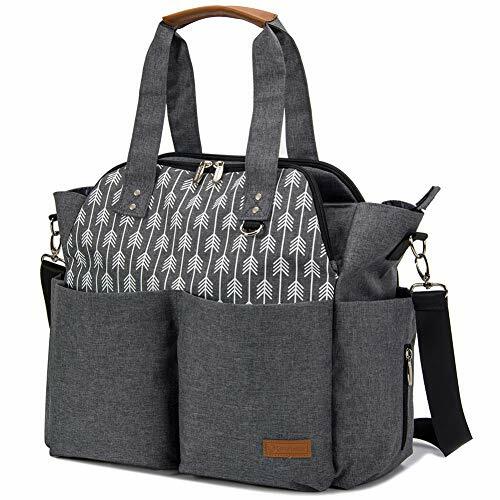 The Be Prepared diaper bag is also the largest in the range, which could be just the thing to store all your twins’ paraphernalia. Contains 17 pockets for easy storage. The design may be too feminine for dad to carry. If you want a diaper bag that meets the needs of your double stroller, the Duo Double Signature might fit the bill. It’s specifically designed with a double stroller in mind — using customized clips and measuring the width of a side-by-side twin stroller. Yet if you need to step away from the wheels, a detachable strap and carry handles allow you to wear it over the shoulder, across the body or carry it tote style. The space of the bag is divided into one large compartment and 16 smaller sections. Zippered pockets and a cell phone pouch give you easy access to your important items, while the elastic side pockets will easily fit your babies’ bottles. Extra long strap, fitting taller moms and dads. Magnetic closures throughout the bag. The bag also fits single strollers. Cell phone holder doesn’t fit all types. The narrow width of the bag isn’t very practical. 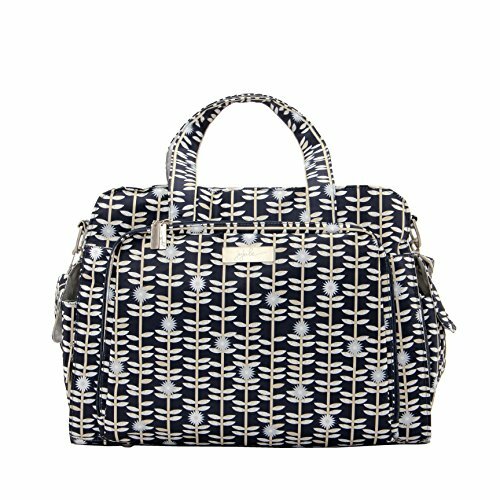 Are you a fashionista who doesn’t want to ruin your style with a regular diaper bag? The Charlie diaper bag looks just like a designer purse straight off the runway. This should compliment your trendy outfits while still meeting mom’s needs. Made of vegan faux leather — PVC free — this bag is all about elegant details, including monogrammed stroller straps and a chic zippered purse to store your credit cards and other mom items. The Charlie bag also comes with good functionality. The water-resistant and light colored interior fabric makes items easy to spot and keeps everything dry throughout the day. This does come at a higher price than most bags, but you’ll get a lifetime warranty. The bag can be easily cleaned, inside and outside. One separate zippered clothes pouch. Comes in two different chic colors. Smaller in size compared to other diaper bags. Do you own a girly diaper bag but are looking for something a bit more “man” for your husband to carry around? The Diaper Dude bag has been designed by dads for dads, with a masculine sporty design and color. 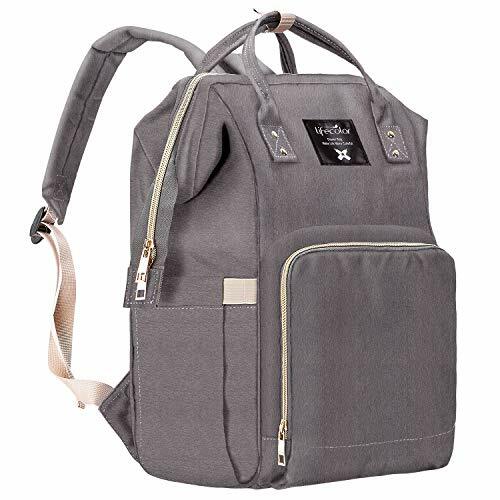 This bag has a large compartment as well as three outside zippered pockets on the front and an elastic side pocket to fit your baby bottle. It might be a bit smaller than other bags, but men always pack light, don’t they? The bag is simple in style, lightweight, and comfortable to wear, with padded shoulders straps for added comfort. The design can make it a great everyday bag, even after the kids have grown up. Made with easy to clean polyester fabric. Suits both mom and dad. Convenient as a day bag but can be tight on space for longer outings. The bag doesn’t have insulated pockets. Before purchasing a diaper bag, you might want to think about what you’ll be carrying around in it. Here’s a list of 10 most common items that moms like to pack. Diapers — one or two for every hour spent away from home. Bottle of water or milk formula. A diaper bag could be the most important accessory you’ll need when planning days out with your twins. My ultimate favorite is the Lifecolor Diaper Bag. As long as you don’t want anything fancy, this one has everything you need — space, pockets, design, and quality all wrapped into one. 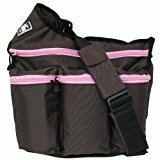 I hope this information is helpful and will save you some precious time while searching for a new diaper bag. Which one did you like best? Leave a comment below!